Here is the list of the hotels near Ferrières-Poussarou. Book your hotel near Ferrières-Poussarou today, Friday 10 May for the best price, reservation and cancellation free of charge thanks to our partner Booking.com, leader in on-line hotels reservation. Below here is the list the 50 closest hotels of Ferrières-Poussarou, sortable according your criteria. You will find the position of these accommodations on the Ferrieres-Poussarou hotels map. Located in Prémian, Au Milieu De La Nature Entre Olargues Et Prémian provides accommodation with a private pool. Guests benefit from a terrace and an outdoor pool. The villa features a TV and 2 bedrooms. The accommodation is fitted with a kitchen. Guests can also relax in the garden. Lamalou-les-Bains is 27 km from the villa. Castres-Mazamet Airport is 61 km from the property. Villa La Mausse is set in Berlou. This villa provides a garden as well as free WiFi. This air-conditioned villa is equipped with 3 bedrooms, a TV, and a kitchen with a dishwasher. The villa offers an outdoor pool. Narbonne is 46 km from Villa La Mausse, while Béziers is 37 km from the property. Beziers Cap d'Agde Airport is 49 km away. Located in the heart of the Haut-Languedoc Natural Regional Park, in the village of Berlou, Escapad'Oc offers B&B acommodation with free WiFi access and free private parking. The room has two single beds, a private bathroom with a shower and a private furnished terrace. The room is equipped with an electric kettle for making tea and coffee. Free WiFi is available and guests have access to private parking. Guests can enjoy various activities in the surroundings, including cycling and hiking. Béziers is 27 km from Escapad'Oc, while Agde is 46 km from the property. The nearest airport is Carcassonne Airport, 61 km from Escapad'Oc. Ideally set in Saint Chinian, between sea and mountain, Le Pressoir combines charm and modernity. Stay in one of the hotel's 15 cosy rooms in which you will find all the comfort you may need during your stay. Enjoy a day spent sunbathing on the hotel's terrace before taking a refreshing dip in the swimming pool with panoramic view. The hotel also takes its prides in the quality of its restaurant's cuisine made from the freshest local ingredients and accompanied with excellent wines. Ceps Cottage in Roquebrun boasts accommodation with free bikes, barbecue facilities and a terrace. Each accommodation at the bed and breakfast has free WiFi. All units in the bed and breakfast are equipped with a wardrobe and a private bathroom with free toiletries and a hairdryer. The two-bedroom house offers river views and boasts a flat-screen TV. Breakfast is available at certain times during the year and is only included for the Double Room. A coffee machine is available for guests in the shared kitchen. Cycling is among the activities that guests can enjoy near the accommodation. Cap d'Agde is 49 km from Ceps Cottage, while Narbonne is 37 km from the property. The nearest airport is Beziers Cap d'Agde Airport, 36 km from the property. Set in Olargues in the Languedoc-Roussillon region, Du Chat Noir features accommodation with free WiFi. A continental breakfast is available daily at the property. The bed and breakfast offers a terrace. Guests can also relax in the shared lounge area. Lamalou-les-Bains is 18 km from Du Chat Noir. The nearest airport is Castres-Mazamet Airport, 65 km from the accommodation. Offering mountain views, restaurant la piscine in Saint-Chinian features accommodation, a garden and a terrace. Free WiFi is available. All units are equipped with a flat-screen TV and a fully equipped kitchen with a microwave. A balcony with pool views is offered in each unit. A continental breakfast can be enjoyed at the property. The restaurant at the holiday home specialises in European, French and Middle Eastern cuisine. Restaurant la piscine offers a children's playground. Narbonne is 35 km from the accommodation, while Béziers is 30 km away. Beziers Cap d'Agde Airport is 46 km from the property. Located in Saint-Chinian, Maison de la Place offers accommodation with free WiFi and flat-screen TV. All units come with a microwave, toaster, a coffee machine, a fridge and kettle. Some units also have a kitchen equipped with a dishwasher, an oven, and a stovetop. If you would like to discover the area, cycling is possible in the surroundings. Narbonne is 34 km from the apartment, while Béziers is 29 km from the property. The nearest airport is Beziers Cap d'Agde Airport, 45 km from Maison de la Place. Saint Chinian Holiday Apartment is a self-catering accommodation located in Saint-Chinian. Free WiFi access is available. Featuring a mountain view, accommodation will provide you with a flat-screen TV, air conditioning and a balcony. There is a fully equipped kitchen with a dishwasher and a microwave. Featuring a bath, the private bathroom also comes with a hairdryer. Mediterranee Airport is located 84 km away. The property offers free parking. Featuring a seasonal outdoor pool and mountain views, La Maison de Thomas is situated in Prades-sur-Vernazobre. The air-conditioned accommodation is 39 km from Narbonne. This holiday home comes with 2 bedrooms, a living room and a fully equipped kitchen with a dishwasher and an oven. The accommodation also features a flat-screen TV and 1 bathroom with a hair dryer. The holiday home offers a barbecue. A sun terrace is available on site and both cycling and fishing can be enjoyed within close proximity of the property. Béziers is 30 km from La Maison de Thomas, while Narbonne-Plage is 50 km from the property. The nearest airport is Beziers Cap d'Agde Airport, 42 km from the property. Villa Fourco is set in Riols and offers a seasonal outdoor swimming pool, barbecue facilities and a garden. This property offers access to a terrace. The villa includes a living room and 3 bathrooms with a hair dryer and a bath. There is a seating area, a dining area and a kitchen complete with a dishwasher, an oven and a microwave. Non-stop assistance is available at the reception, where staff speak Greek, English and French. Guests can also relax in the shared lounge area. Lamalou-les-Bains is 31 km from the villa. Castres-Mazamet Airport is 53 km away. Featuring a garden, an outdoor pool and mountain views, Oustal de Vieussan is set in Vieussan. Featuring free WiFi, the property also has a tennis court and barbecue facilities. The villa comes with 3 separate bedrooms and includes a kitchen with a dishwasher and a dining area. A flat-screen TV is featured. The villa offers a terrace. If you would like to discover the area, fishing and hiking are possible in the surroundings. Béziers is 42 km from Oustal de Vieussan, while Lamalou-les-Bains is 17 km from the property. The nearest airport is Beziers Cap d'Agde Airport, 54 km from the accommodation. Set in Mons in the Languedoc-Roussillon region, les violettes has a terrace and mountain views. The holiday home features garden views and is 50 km from Béziers. Providing access to a balcony, the holiday home consists of a fully equipped kitchen and a TV. Lamalou-les-Bains is 13 km from the holiday home, while Pézenas is 47 km away. The nearest airport is Beziers Cap d'Agde Airport, 62 km from the property. Bed and Breakfast Roquebrun Preferred hotel ! La vie en rose is situated in Roquebrun and offers a garden. Guests staying at this bed and breakfast have access to a terrace. The bed and breakfast includes a kitchen with a dishwasher and a microwave, as well as a coffee machine. Breakfast is available every morning, and includes continental and buffet options. Béziers is 33 km from the bed and breakfast, while Valras-Plage is 43 km from the property. The nearest airport is Beziers Cap d'Agde Airport, 45 km from La vie en rose. Located in Saint-Chinian, Villa - Cébazan offers accommodation with a private pool. This villa features a garden. This villa is equipped with 5 bedrooms, a TV, and a kitchen with a dishwasher. The villa offers a barbecue. This property features a children's playground. Narbonne is 30 km from Villa - Cébazan, while Béziers is 25 km from the property. Beziers Cap d'Agde Airport is 41 km away. Situated in Cébazan, Comme à la maison offers accommodation with a terrace and free WiFi. Guests staying at this holiday home have access to a fully equipped kitchen. Offering 2 bedrooms and 1 bathroom, this holiday home has a flat-screen TV and DVD player. Narbonne is 30 km from the holiday home. The nearest airport is Beziers Cap d'Agde Airport, 41 km from the property. Set in Cébazan in the Languedoc-Roussillon region, Le Pailler features a terrace. It has a tennis court, mountain views and free WiFi. This air-conditioned holiday home comes with a kitchen, a seating area, a dining area and a satellite flat-screen TV. The property also has 1 bathroom with free toiletries. The holiday home offers a barbecue. A children's playground is available for guests at Le Pailler to use. Narbonne is 30 km from the accommodation. Beziers Cap d'Agde Airport is 41 km from the property. Situated in Cébazan, Lou Daro offers accommodation with free WiFi and flat-screen TV, as well as free bikes. Units include a fully equipped kitchenette with a dishwasher, oven, coffee machine and kettle. All units are air conditioned and include a seating and/or dining area. The holiday home offers a terrace. Guests can go hiking or relax in the garden. Narbonne is 30 km from Lou Daro, while Béziers is 25 km away. The nearest airport is Beziers Cap d'Agde Airport, 41 km from the accommodation. Boasting barbecue facilities, Kasia provides accommodation in Roquebrun with free WiFi and river views. Guests staying at this holiday home have access to a fully equipped kitchen. The holiday home comes with a flat-screen TV. The holiday home also features a seating area, washing machine and 2 bathrooms with a shower. The holiday home offers a terrace. Guests can also relax in the shared lounge area. Béziers is 33 km from Kasia, while Valras-Plage is 43 km away. The nearest airport is Beziers Cap d'Agde Airport, 45 km from the property. Les Tiers provides accommodation with barbecue facilities and free WiFi. Some units also have a kitchen equipped with a dishwasher. The bed and breakfast offers a terrace. Guests can relax in the garden at the property. Béziers is 33 km from Les Tiers, while Valras-Plage is 44 km away. The nearest airport is Beziers Cap d'Agde Airport, 45 km from the accommodation. Guest accommodation Riols Preferred hotel ! Located in Riols, Les Coumayres provides accommodation with access to a garden. Fitted with a terrace, the units feature a flat-screen TV and a private bathroom with shower. A microwave, a toaster and fridge are also provided, as well as a coffee machine. The holiday home offers an outdoor pool. Lamalou-les-Bains is 39 km from Les Coumayres. Castres-Mazamet Airport is 59 km away. Situated in Cessenon, Cessenon sur Orb features accommodation with a terrace and free WiFi. Guests staying at this holiday home have access to a fully equipped kitchen. The holiday home has a flat-screen TV. Cap d'Agde is 50 km from the holiday home, while Narbonne is 50 km away. The nearest airport is Beziers Cap d'Agde Airport, 37 km from the property. Holiday home Cessenon sur Orb MN-1265 is set in Cessenon. The accommodation is 49 km from Cap d'Agde. The holiday home is equipped with 2 bedrooms, a TV and a fully equipped kitchenette that provides guests with a dishwasher and an oven. Narbonne is 49 km from the holiday home. Beziers Cap d'Agde Airport is 36 km from the property. Boasting a private pool and mountain views, La Platriere is located in Cazedarnes. Guests can go for a swim in the seasonal outdoor pool. The bed and breakfast consists of 2 separate bedrooms, 1 bathroom, and a seating area. A flat-screen TV is provided. A continental breakfast is served every morning at the property. The bed and breakfast offers a barbecue. Guests can also relax in the garden or on the shared lounge area. Cap d'Agde is 50 km from La Platriere. The nearest airport is Beziers Cap d'Agde Airport, 37 km from the accommodation. Villa Denise is situated in Cessenon. This villa offers accommodation with a terrace. The villa is fitted with 4 bedrooms, a TV and a fully equipped kitchen that provides guests with a dishwasher, an oven, and a washing machine. The villa offers a barbecue. Guests can also relax in the garden. Cap d'Agde is 49 km from Villa Denise, while Narbonne is 49 km away. The nearest airport is Beziers Cap d'Agde Airport, 36 km from the accommodation. Villa Impasse de la Cremade is set in Cessenon and offers barbecue facilities. Guests may go for a swim in the outdoor pool. This air-conditioned 3-bedroom villa comes with a seating area, a satellite TV and a kitchen with a dishwasher. Cap d'Agde is 49 km from the villa, while Narbonne is 49 km away. The nearest airport is Beziers Cap d'Agde Airport, 36 km from the property. Located in Saint-Nazaire-de-Ladarez, Holiday home St Nazaire de Ladarez ST-1262 provides a private pool and free WiFi. 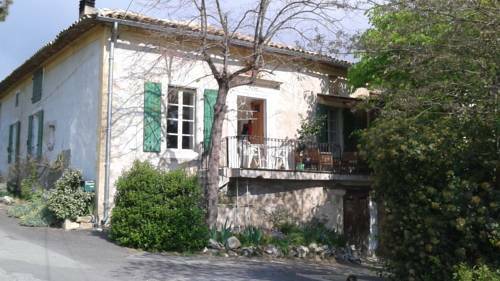 The property has mountain views and is 27 km from Béziers. This holiday home is equipped with a living room and a fully equipped kitchen. A TV and a DVD player are provided. The holiday home offers an outdoor pool. Agde is 49 km from Holiday home St Nazaire de Ladarez ST-1262, while Valras-Plage is 43 km from the property. Beziers Cap d'Agde Airport is 40 km away. La Mécanique des Frères Bonano is located in Colombières and has a seasonal outdoor swimming pool and a garden. All rooms feature a flat-screen TV with satellite channels and a private bathroom. The hotel provides garden views and a terrace. The units in the hotel are fitted with a coffee machine. Every room is fitted with air conditioning, and some rooms have a balcony. A continental breakfast is served each morning at the property. The restaurant at La Mécanique des Frères Bonano serves French cuisine. Cycling is among the activities that guests can enjoy near the accommodation. Béziers is 43 km from La Mécanique des Frères Bonano, while Lamalou-les-Bains is 7 km away. Beziers Cap d'Agde Airport is 56 km from the property. Located in Saint-Nazaire-de-Ladarez city centre, this holiday home offers a terrace and is situated 50 km from Narbonne, 53 km from Cap d'Agde and 96 km from Montpellier. Free WiFi is provided throughout the property. The house has a kitchen equipped with an oven, a coffee machine, a microwave and a fireplace. A flat-screen TV with satellite channels is offered. A high chair and baby cot can be rented at an extra cost. Béziers is 26 km from The Little Yellow House France, while Balaruc-les-Bains is 49 km away. You can engage in various activities, such as canoeing and hiking. Beziers Cap d'Agde Airport is 40 km from the property. Situated in Saint-Nazaire-de-Ladarez, 43 km from Cap d'Agde, Chez Amis B&B boasts an outdoor pool, a barbecue and a garden with a hot tub. Guests can enjoy the on-site bar. Some units include views of the pool or garden. Every room comes with a private bathroom fitted with a bath or shower. Chez Amis B&B features free WiFi throughout the property. Upon reservation, guests can dine in the on-site restaurant. A Scandinavian buffet breakfast is available for an extra charge. You will find a shared lounge at the property. Bike hire is available at this bed and breakfast and the area is popular for horse riding, hiking and cycling. Narbonne is 37 km from Chez Amis B&B, while Béziers is 22 km away. The nearest airport is Beziers Cap d'Agde Airport, 31 km from the property. Offering free WiFi, Residence Les Quatres Saisons is located next to the Arn River, in the heart of the forest, 6 km from Le Soulié. These holiday homes will provide you with a seating area, a dining area, a TV and a furnished terrace. They feature a full kitchen with a dishwasher and a microwave. The bathrooms come with a shower and a hairdryer. You can enjoy garden views from the rooms. At Residence Les Quatres Saisons you will find a garden and barbecue facilities. Extras include board games, and books. An array of activities can be enjoyed on site or in the surroundings, including cycling, fishing and hiking. Offering free parking, these holiday homes are 80 km from Béziers Cap d'Agde Airport. Entre St Chinian Et Minerve is located in Rieussec and offers barbecue facilities. This villa provides a terrace. The villa has a TV and 2 bedrooms. A dishwasher and an oven can be found in the kitchen. Narbonne is 40 km from the villa. The nearest airport is Castres-Mazamet Airport, 52 km from Entre St Chinian Minerve. Situated in Causses-et-Veyran, this B&B features a terrace and a garden with a seasonal outdoor pool and a barbecue. Clos du Magnolia features views of the pool and is 41 km from Cap d'Agde. Free WiFi is provided throughout the property. Each bedroom has an en suite bathroom. There is a shared dining room/lounge at the property. Bike hire is available at the property and the area is popular for cycling and hiking. Sète is 50 km from Clos du Magnolia, while Narbonne is 55 km from the property. The nearest airport is Béziers Cap d'Agde Airport, 33 km from Clos du Magnolia. Situated in Causses-et-Veyran, Chez Sven B&B offers accommodation with free WiFi, a garden, and access to a spa centre and a hot tub. Some units have a seating area and/or a terrace. A continental breakfast is available every morning at the property. Guests can dine in the in-house restaurant, which serves European cuisine. The bed and breakfast offers an outdoor pool. There is a shared lounge at this property and guests can go cycling nearby. Cap d'Agde is 46 km from Chez Sven B&B, while Béziers is 20 km away. The nearest airport is Beziers Cap d'Agde Airport, 33 km from the accommodation. Situated in Causses-et-Veyran, La Fontainebleu features accommodation with free WiFi and free bikes. There is a fully equipped shared bathroom with bath and free toiletries. A continental breakfast is available each morning at the homestay. La Fontainebleu offers a barbecue. A terrace is available on site and both cycling and hiking can be enjoyed within close proximity of the property. Cap d'Agde is 47 km from the accommodation, while Béziers is 21 km from the property. The nearest airport is Beziers Cap d'Agde Airport, 34 km from the property. Featuring air-conditioned accommodation with a private pool, mountain view and a terrace, Vacance de Reve is located in Causses-et-Veyran. Guests are welcome to go for a swim in outdoor pool and enjoy the free WiFi. This holiday home comes with 3 bedrooms, a satellite flat-screen TV, a dining area, a kitchen with a dishwasher, and a living room. The holiday home offers a barbecue. There is a garden at this property and guests can go cycling nearby. Cap d'Agde is 46 km from Vacance de Reve. The nearest airport is Beziers Cap d'Agde Airport, 33 km from the accommodation. This hotel is set in Fraïsse-sur-Agout in the Haut-Languedoc Regional Nature Park. Guests are free to relax on the terrace or by the fireplace. Free Wi-Fi and satellite TV feature in the colourful rooms and apartments at Auberge de l’Espinouse. All rooms include a private bathroom with bathrobes, and some have a hydromassage shower. Regional specialities prepared with local products are proposed in the restaurant, and breakfast is served daily. Meals can be enjoyed on the terrace or by the fireplace in the dining room. A well-being area is at guests’ disposal and relaxing body treatments can be arranged upon request. Nearby activities include hiking, canoeing and mushroom hunting. Free parking is available and Laouzas Lake is 7 km away. The hotel is 45 km from Saint-Chinian and 60 km from Mazamet Train Station. Set in Baisseseures, Coin sympa Le fajau is an apartment boasting a barbecue. Coin sympa Le fajau boasts views of the mountain and is 44 km from Béziers. A microwave, a toaster and a fridge can be found in the kitchenette. A flat-screen TV with satellite channels is available. Other facilities at Coin sympa Le fajau include a sun terrace. Castres is 48 km from Coin sympa Le fajau, while Lamalou-les-Bains is 20 km from the property. A range of activities are offered in the area, such as cycling and hiking. Castres-Mazamet Airport is 45 km away. Below here is the hotels map of Ferrières-Poussarou. Names and details of Ferrières-Poussarou hotels can be shown on the map clicking on the prices icons.